The ALCS was largely beef-free, outside of the front offices. Certainly no player-on-player enmity, like we’re seeing in the senior circuit. The closest thing was Houston’s Alex Bregman posting before Game 3 an Instagram story showing that night’s starter Nathan Eovaldi surrendering back-to-back-to-back dingers to the Astros earlier this season. Eovaldi doesn’t have Instagram, though, so that wasn’t real beef. He was effective in Game 3 anyway, so that was the assumed end of that. 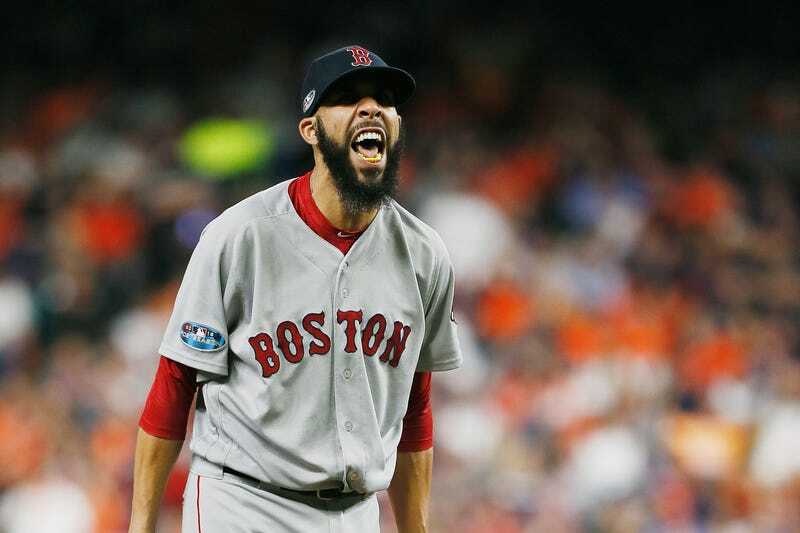 But David Price doesn’t forget. Price, feeling himself after finally throwing a good postseason start, had words from the dugout after Eovaldi came on in relief in Game 5 and struck out Bregman with the high heat. When you started an Insta beef and someone finishes it in real life, you know you fucked up.